Every morning, all across the country, millions of Americans start the day with a cup (or more) of coffee. They either brew it themselves in the kitchen, make a pit stop at a fast food drive-thru during the AM commute, or visit the nearest Seattle-based corporate coffee shop chain establishment and overpay through the nose for some frappe/cappuccino concoction. It’s part of the morning ritual and for many, instant courage in a cup to help face the trials and tribulations of each new day in the realm of the 9-to-5ers. On the other end of the coffee-drinking spectrum, there are those who enjoy and savor the full rich flavors of this 15th century Ethiopian brew. Instead of kickstarting the morning, it’s a way to wind down and relax. It can be enjoyed in quiet solitude or socially with a group of friends over a random conversation. With Autumn now in full-effect, a hot cup of freshly-brewed coffee could be the perfect way to warm the bones as the outdoor temperatures drop in preparation for the oncoming Winter season. 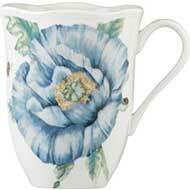 At Our Pampered Home, we offer a wide range of coffee products and accessories as well as specialty coffee blends. Let’s take a look at some of our coffee selections that expert cafeliers, coffee connoisseurs, home baristas, and the everyday Java Joes alike can all appreciate. A major point of contention between coffee drinkers is which method of brew is better: ground coffee VS. whole beans. Ground coffee takes little time and effort to prepare and it’s readily available at any grocery store. On the flipside, ground coffee spoils at an accelerated rate, which can have a negative effect on flavor as the essential coffee bean oils are evaporated over time. Whole coffee beans offer the purest flavor with unmatched freshness and serving versatility. Coarse grounds give rich, dark, French press while smooth, finely ground beans work for espresso and regular drip coffee. Whatever your preference, we have delectable coffee flavor selections from Hawaiian Gold and Cafe Du Monde available in both ground and whole bean form. 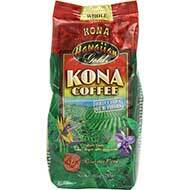 Exotic, full-flavored gourmet Kona bean coffee from Hawaiian Gold brings the distinct flavor of Hawaii’s Kona Districts in every cup. 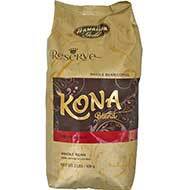 This specialty gourmet blend of Kona and whole bean mountain-grown Arabica coffee combines Hawaiian-style richness with the unmatched purity of Arabica. 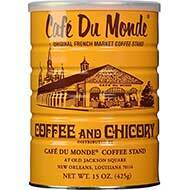 Direct from the French Market of downtown New Orleans, Cafe Du Monde’s Coffee & Chicory blend combines dark roast ground coffee with Chicory root for true French Quarter taste. Also available in decaf. 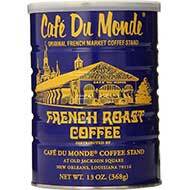 Cafe Du Monde’s French Roast ground coffee is bold, powerful, and an intense, heavy-handed shot of smokey-sweet morning motivation. A freshly-brewed pot of coffee is a treat for the senses. As the boiling water seeps into the coffee grinds, that magnificent potpourri of scents and aromas fills the air with joyous anticipation of that very first drop of caffeinated goodness to reach your lips. You just don’t get that kind of fanfare when you opt for drive-thru. That’s what makes home brewing that much more rewarding. Be your own barista with our assortment of fine coffee making products from grinders to brewers to espresso machines and full coffee kits from the leading names in home appliances such as Bamix, Nespresso, KitchenAid, and Miele. 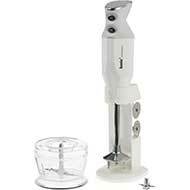 The Bamix Deluxe M150 immersion hand blender features 150 watt power, 2 selectable speeds and 3 easy change stainless steel blades, and an included dry grinder for coffee beans. 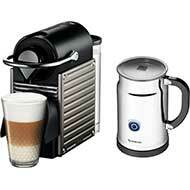 Nespresso’s compact Pixie Espresso Maker and Aeroccino Plus Milk Frother makes perfect cups of espresso thanks to the signature 19-bar pressure pump and theromoblock heating unit. Nespresso and KitchenAid have partnered to create a virtual boutique coffee shop in your own home with the Nespresso by KitchenAid Espresso Machine. 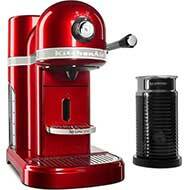 Make your own lattes, cappuccinos, macchiatos, and gourmet blends from the comfort of your kitchen. The CM5100 Black Countertop Coffee System by Miele expands upon the company’s original built-in whole bean coffee system from 1998 and features a portable compact design, 15 pressure bars, an electronic steam valve, integrated cup warmer, and unrivaled durability tested to 50,000 continuous cups of coffee. In gourmet dining, master chefs pay as much attention to detail in presenting their dishes as they do in preparing them. Though it may seem trite and insignificant upon initial thought, but it’s all to do with the total dining experience; a psychological technique used to enhance the appeal of a prepared meal. The same can be said for coffee. Coffee, like food, can be enjoyed on both a casual and formal level. So, whether it’s that quick cup of coffee in the middle of the early morning rush, the mug that sits at your desk as your workday companion, a social gathering among friends and family, or a quiet moment alone to rest and unwind, browse through our collection of coffee cups and mugs that speak to all types of emotions and surroundings. Simple and relaxed, witty and humorous, or elegant and sophisticated; think of it as an extension of your personality. After all, it’s been said that coffee intake does have an effect on mood and disposition. We’ll leave it up to you. 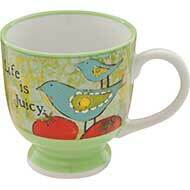 Demdaco’s Studio BE collection showcases the art of Cindy Wunsch with the Life is Juicy mug. This microwave and dishwasher-safe 9 ounce stoneware mug features a charming and heartwarming print based off one of Cindy’s original works. 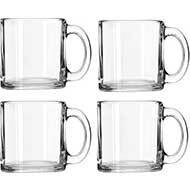 This set of 4 crystal coffee and warm beverage 13 ounce mugs by Libbey are perfect for any setting. Enjoy dark roasts, tea, hot chocolate, cappuccinos, and any Fall time favorite drink in beautiful and elegant Libbey crystal. 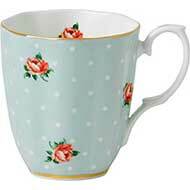 Royal Albert’s vintage style bone china mug is decked in 22-karat gold trim along the edge and wears an eye-pleasing 1930’s retro motif in mint green with white polka dot and rose blossom detail. From the Lenox Butterfly Meadow collection, this microwave and dishwasher-safe 10 ounce mug is crafted from fine porcelain and depicts a nature-inspired scene of a curious bumblebee and an adventurous ladybug exploring the details of a lush blue flower. 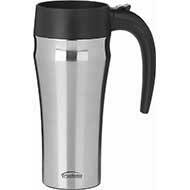 For those who are always on the move, the Trudeau Journey Stainless Steel 16 Oz. Travel Mug is the perfect commuter coffee companion. Vacuum insulation maintains hot liquid temperature for up to 6 hours and cold drinks for up to 12 hours. The unbreakable stainless steel construction is built to last and go wherever you go. Artist Laurel Burch was famous for her vivid and stylish cat paintings featuring bright clashing colors and abstract designs. 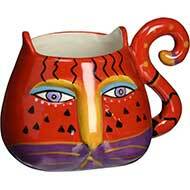 Westland Giftware recreates Laurel’s unique vision with the 16 ounce Fantastic Felines mug, featuring wraparound color images and sculpted detail. 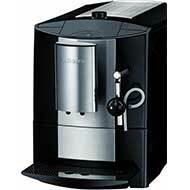 If you fancy a dark roast, medium roast, cappuccino, latte, or espresso, settle down to a hot cup of joe with Our Pampered Home and our vast assortment of home and kitchen products such as coffee and tea appliances, fine china and tableware, and specialty gourmet snacks and coffee selections.